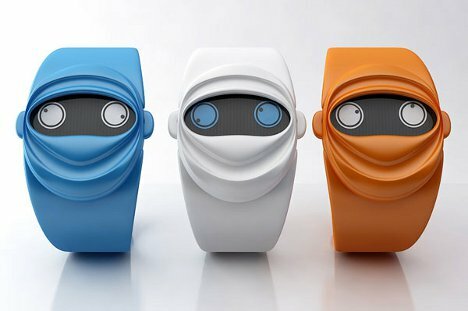 The Ninja Time watch from designer Andy Kurovets is a delightfully absurd way to tell time. At first glance it looks like a plastic bracelet done up in ninja style. But look closer at the googly eyes and you’ll see a cute secret.The eyes actually tell the time: the pupils act like hands on an analog clock. To those who don’t know the secret, the little ninja face simply looks like a silly character with crazy eyes. 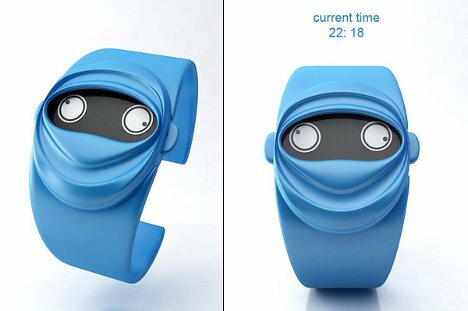 This cute watch would be a huge benefit in those situations where you compulsively check the time every few seconds because you just can’t wait to do something else…but you don’t want to be too obvious about it.